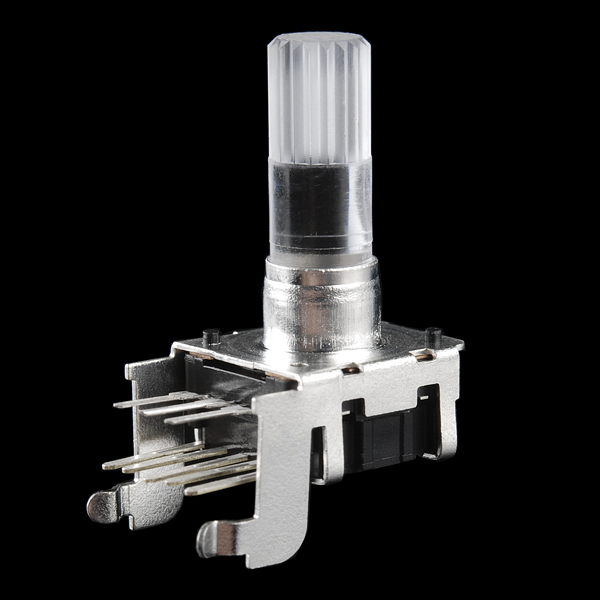 Rotary encoders can be used similarly to potentiometers. The difference being that that an encoder has full rotation without limits (It just goes round and round). They output gray code so that you can tell how much and in which direction the encoder has been turned. They're great for navigating menu screens and things like that. This encoder mounts at a right angle so it's perfect for things like control panels and rack-mount enclosures. 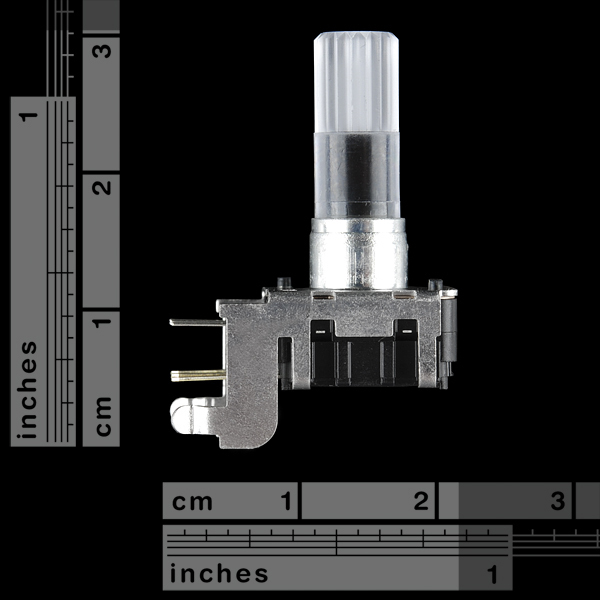 The description says "Gray code", but this is a quadrature encoder, as shown by the datasheet and tutorials. Yes, quadrature is technically a subset of Gray code, but "Gray code encoder" implies one Gray code cycle per rotation (i.e. usable for absolute position), IMO. It's not a problem that this is a quadrature encoderâthey're easier to interface with and adequate for most applicationsâbut I would prefer a clearer description. As per the data sheet the row with 3 pins seem to be 2.5mm spaced but the row with 5 pins is 2mm spaced. And the two rows are 3.1mm apart. So ignoring the 2 non-signal tabs, will the other pins fit on a bread board? Perhaps with a little bending? There no eagle footprint for this ? Do you still have the footprint for this? I tried your filedropper link, but get redirected to an 'upload' screen. Thanks.